Clean chicken pieces and cook it with coriander powder, chilli powder, turmeric powder, ginger-garlic paste, green chillies and salt adding enough water. Heat little oil in a pan and roast/ fry grated coconut, 2 shallots, fennel seeds and 1 sprig curry leaves till brown. Then grind it to a smooth paste adding little water. Heat little oil in a pan and add finely chopped remaining shallots and curry leaves and fry well. 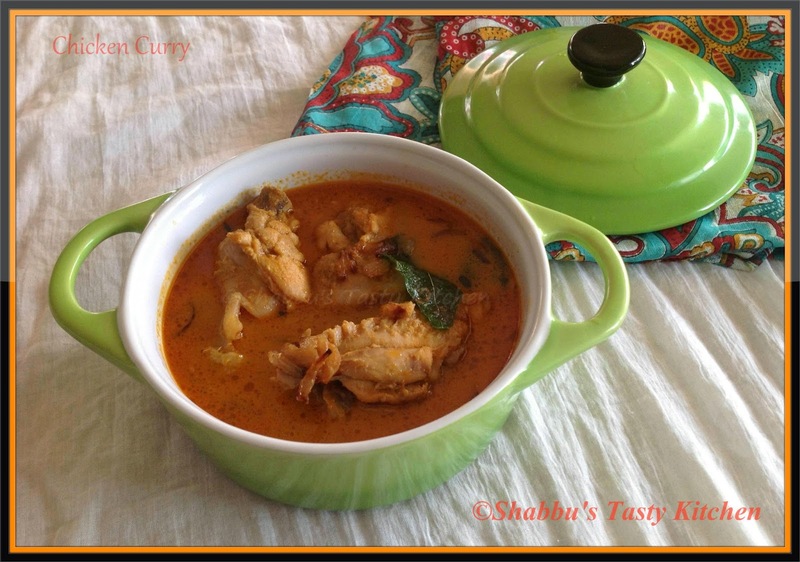 Kozhi curry looks superb, I think we call it varutharacha kozhi curry.